Finch is a tumblog style WordPress theme with all post formats support. This theme have uniqueness in flexible background image. 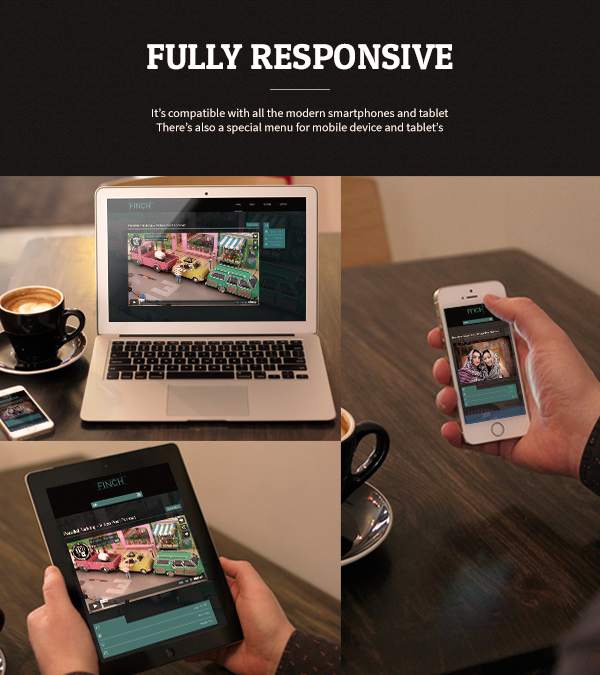 Finch is responsive, all the way down to mobile. Images, videos and text will scale down gracefully to iPad, iPhone and all devices in-between. This theme looks just as great in your pocket as it does on the desktop!